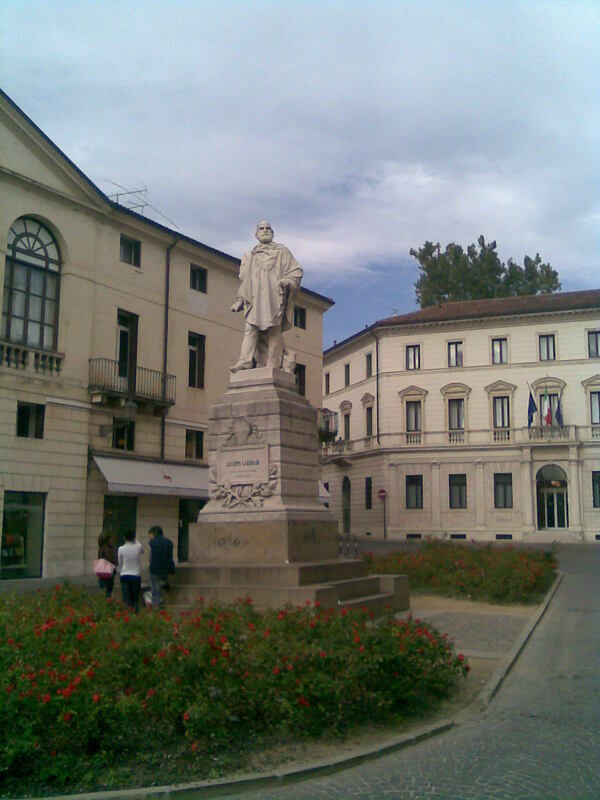 Giuseppe Garibaldi (1807-1882) is celebrated in virtually every city and village in Italy in the form of street names, piazzas, and occasional statues. He is given these same honors across dozens of European and American capitals as well. The reason is clear: Garibaldi was probably the most wholly admirable figure that Europe has produced in modern history. Similarly to George Washington in America (who crossed “the Delaware” and did something involving a cherry tree), he is perhaps known best in Italy for two things: for leading the 1000 ‘Red-Shirts’ into Sicily, and for being the namesake of a ridiculous nursery rhyme (“Garibaldi fu ferito, fu ferito in ad una gamba, Garibaldi che comanda, che comanda il battaglion”: Garibaldi was wounded, he was wounded in the leg, Garibaldi that commanded, that commanded the Battalion). Maybe his name is so familiar here that it loses value by its very ubiquity. In my town of Vicenza, his statue proudly stands in Piazza Castello, where it mostly serves as an unappreciated meeting places for hordes of too-idle teenagers to smoke and listen to annoying music on low quality mobile devices; some of them also saw fit to decorate it with the same reprehensible graffiti that seems to find its way onto every building or solid structure in the country, however ancient or otherwise aesthetically-pleasing. I intend to describe exactly why Garibaldi should remain in all of our collective memories as the inspiring character that he was, rather than descending to the level of colorless platitude he is in danger of becoming. Garibaldi was born in Nice, part of the French Empire at the time, but which became, in 1814 at the Congress of Vienna, the property of Sardinian king Vittorio Emmanuele I. Young Garibaldi, the son of merchants, became a merchant marine captain himself in 1832, which led him around Europe. In his travels, he met a follower of Mazzini, the founder of the liberal ‘Young Italy’ movement. Garibaldi soon became enamored of the idea of Italian unification, and he joined the revolutionary Carbonari group in 1833. This led to a death warrant against him by the extremely short-sighted Genoese regime, and Garibaldi fled to South America. It is in the Uruguayan Civil War that he came to earn his later appellation, “the Hero of Two Worlds.” He married a Brazilian horsewoman named Anita, from whom he learned riding skills and became involved in the gaucho culture–he would wear his trademark red shirt, poncho, and sombrero the rest of his life. He joined the side of the Uruguayan Colorados, choosing to fight against the conservative forces of the nefarious Argentine strongman Juan Manuel de Rosas and his lackey, Manuel Oribe, the president of Uruguay. [Tangent: Jorge Luis Borges, ever aware of Argentina’s troubled history, mentions Rosas in several of his stories. In “A Dialog Between Dead Men”, he is mocked for being a coward in the face of defeat by his nemesis, General Quiroga; “Pedro Salvadores” tells of a man who stayed in his basement for 10 years to avoid the terrors and tortures of Rosas’ rule; and he offered his only exceptions for political assassinations by listing the examples of John Felton, Charlotte Corday, and the well-known words of Rivera Indarte (“It is a holy deed to kill Rosas”).] Garibaldi, with the “Italian Legion” and navy that he raised, dealt several defeats to the conservative forces, and defended Montevideo from a siege by Oribe. The European wave of revolution in the year 1848, however, caused Garibaldi to return to his homeland to aid in Italian uprisings. After his services were rejected by the Piedmontese court in Sardinia, Garibaldi went to Milan to participate in the ongoing war of liberation against the Austrians. He won two minor victories there, before moving south to Rome to assist the newly established Republican government that had taken over the Papal States. The French empire of Napoleon III came to the pope’s defense. 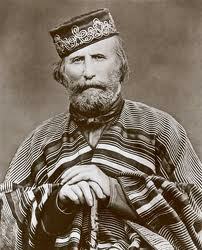 Garibaldi defeated a numerically superior French force, and defended Rome for months against the French reinforcements. Finally outnumbered, Garibaldi chose to preserve his remaining forces to continue the fight from the mountains, saying “Dovunque saremo, colà sarà Roma” (Wherever we may be, there will be Rome). The Papal Authority was reestablished in Rome, so Garibaldi decided to travel north to aid Venice in their resistance against an Austrian siege. He was left with a band of only a few hundred men, seeking to avoid capture by the Austrian, French, Spanish, and Neopolitan armies in the peninsula. At this point, Anita (carrying their fifth child) died, and the Piedmontese regime forced Garibaldi to leave Italy and re-emigrate. He arrived in the United States in 1850, where he worked odd jobs in New York for a year. Unsatisfied, he moved down into Central America and Peru, and eventually took control of a merchant ship that he would use to carry goods to China, the Phillipines, Australia, back to Peru, around Cape Horn to New York, and to England. In 1854 he returned to Italy and bought half of the island of Caprera, north of Sardinia. He spent the next 5 years as a farmer there, improving the agricultural yield of the island. The year 1859 saw the opening of the next Italian War of Independence, and Garibaldi was immediately appointed as a General by the Piedmontese. He won victories over the Austrians in Lombardy with his newly formed ‘Hunters of the Alps’ unit. By this time, he had effectively abandoned his own liberal Republican ideals, inspired by Mazzini, in favor of supporting the monarchy of Piedmont for the greater good of defeating the Pope and unifying Italy. In 1860, Garibaldi took 1000 northern volunteers by ship to Sicily, where revolts had broken out against the Neapolitan regime. He won victories in Palermo and Messina within two months, and declared himself the dictator of Sicily in the name of Vittorio Emanuele II, the would-be king of Unified Italy. He crossed to the mainland with British naval support, and marched north to Naples, where he occupied the empty capital. The troops of Naples were outside the city, and in the ensuing battle, Garibaldi defeated them with help from the Piedmontese army arriving from the north. At this point, Garibaldi met with Vittorio Emanuele II at Teolo, and decided to give all of his southern conquests to the northern king. He went into retirement at Caprera, refusing all awards and honors. Retirement did not last long, however, as Garibaldi assembled volunteers from around Europe to help complete the unification of Italy, especially Venice (from the Austrians) and Rome (where the Pope was protected by the French). In the American Civil War, Garibaldi deeply wanted to help the Union cause, and offered President Lincoln his services. He would only go on the condition that he be made the Commander in Chief, and that the explicit goal of the war was for the abolition of slavery. When Lincoln finally issued the Emancipation Proclamation in 1863, Garibaldi was already committed to the liberation of Rome, but sent Lincoln a letter praising him for freeing the slaves. 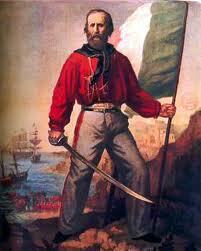 The fight against Rome saw Garibaldi traveling back to Sicily, trying to maneuver into position to defeat the Pope. 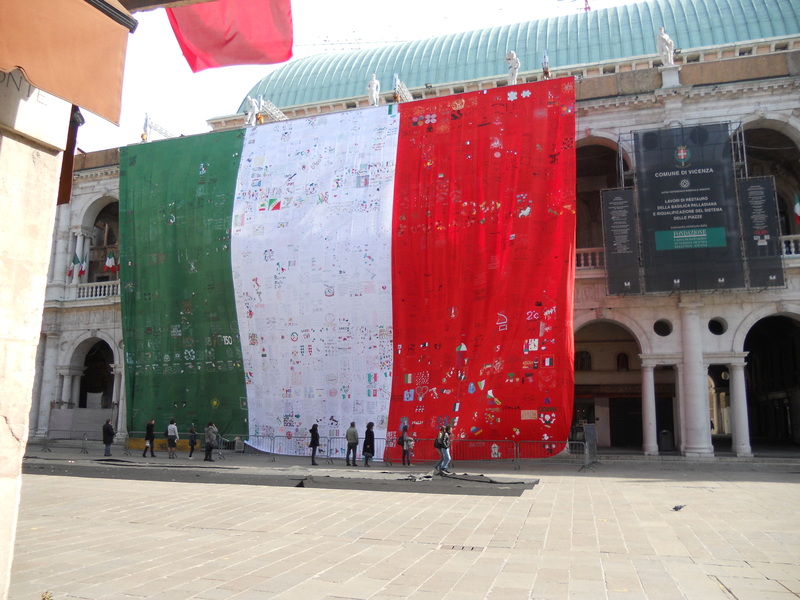 The new Italian Kingdom did not approve of his independent actions, however, and sent its own army to intercept him. At Aspromonte, Garibaldi ordered his troops not to fire against fellow Italians, and he was taken prisoner and forced back to his island. He was already a living legend by now, and he had the sympathy of Europeans everywhere. In 1864, he traveled to London and was greeted enthusiastically, and he began to plan for campaigns of liberation in countries across Europe. His next military action began in 1866, when he took up arms against the Austrians to bring Venice to its rightful place within the new Italian state. He reconstituted his Hunters of the Alps unit and marched with his largest army ever of 40,000 troops into the Trentino, where he won an initial victory. Other Italian forces on the sea and the plains made no progress, however, and Garibaldi was ordered to stop his successful advance to seize Trento. He replied with one word: “Obbedisco” (I obey). Due to Austrian losses against the Prussians in the north, Venice was ceded to Italy in any case. Only one goal remained– the city-state of Rome. Garibaldi again moved against the wishes of the hesitant monarchy to attack the Papal States in Rome. His small force was defeated, he was wounded in the leg, and again taken prisoner and sent back to his island. In 1870, the Franco-Prussian war provided the opportunity to render his services once more in the name of liberal republicanism. After Napolean III’s regime collapsed and a French republic was established, Garibaldi hastily volunteered to help the same troops he had so recently fought against. His ‘Army of the Vosges’ in France was never defeated by the Prussians. In later life, he was elected to the Italian parliament, made huge land reclamation efforts in the swampy areas around Rome (a project which was completed by Mussolini), strongly advocated women’s rights, abolition of papal property, and democratic reforms. He died in 1882 at the age of 74 and was buried at his island of Caprera. Garibaldi, who was also the author of three novels and two autobiographies, remained devoted his entire life to the progressive ideals of freedom for all, liberation from oppression, self-autonomy, and equal and democratic rights. He was a man of remarkable action and unswerving conviction. We would be well-served to remember such a life, and what he fought for.